My oldest son turned 17 this week! The days are truly flying by and like all moms I sit back sometimes and wonder where have they all gone. When given the chance to review The Busy Homeschool Mom's Guide to Daylight by Real Life Press, I was so excited to start reading it right away. I was sent the physical book to review but it also available in digital formats. I still love to have the feel of physical book in my hands while I'm reading. I am always in learning mode. Any time I read a homeschool blog, watch a homeschool video, or read a book on homeschool anything it is always for inspiration for our own homeschool. That is exactly what you will find in The Busy Homeschool Mom's Guide to Daylight! 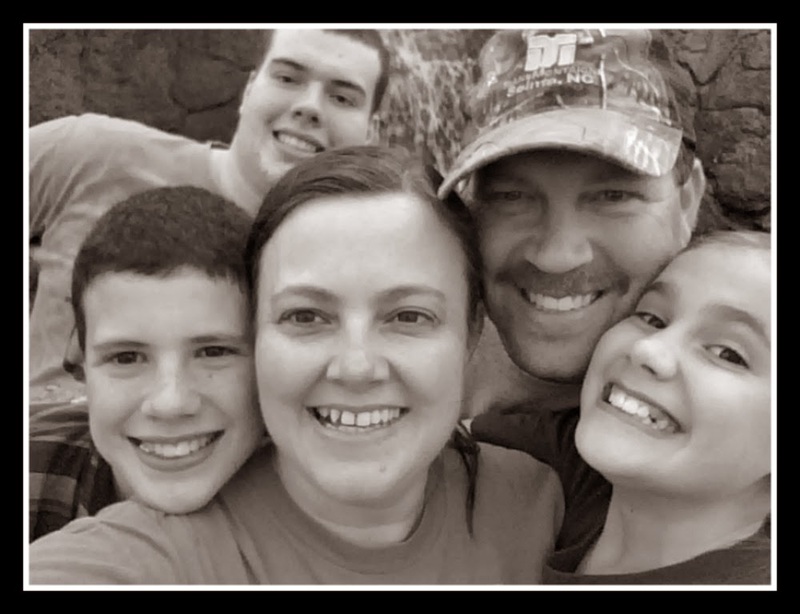 Author, Heidi St. John, has been homeschooling since 1984 so to say she's been there and done that is an understatement. In her book she encourages homeschooling mom's with her experience, knowledge, humor, and wit as she reminds us every step of the way that when we are weak, God is strong. If you have ever wanted to shadow a homeschooling mom, this is the book for you. She opens up her life and shares everything from her failures of wasted time which we ALL can relate to her simple strategies to get dinner on the table. She also shares some sample daily schedules from herself and others. I found myself relating to many of the words on the page as I read them and it is so freeing just to know that you are not alone. She shares many Scripture verses through out the book as well to encourage us to keep our focus on God and He will work out the details. From the beginning chapter I was drawn in as she shared her order of priorities - God, marriage, and then children. 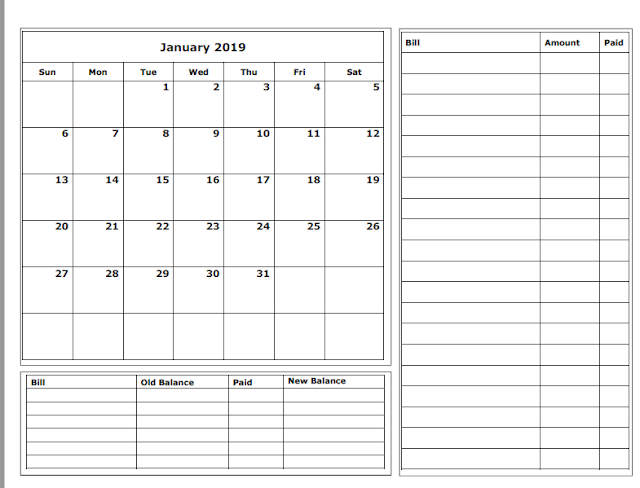 All too often as homeschool moms, we put our relationship with God and our relationship with our husbands on the back burner after the other things on the to do list. In The Busy Homeschool Mom's Guide to Daylight, Heidi shares simple practical steps to guide you to turning that challenge around.
" Do you want to get your child excited about learning? Then teach him to be amazed." She goes on to say that in a world surrounded by such beauty and creation, no one really takes the time to just simply take it all in and be amazed by how easily we can see God's creativity right before us. 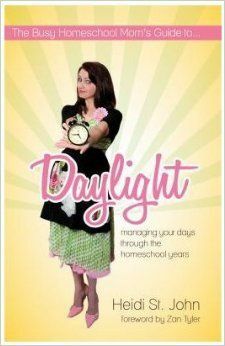 The Busy Homeschool Mom's Guide to Daylight can be purchased for $12.95 or in ebook digital formats for $10. I would highly recommend this book for all homeschool moms whether you are just starting out, in the middle, or even nearing the end of your homeschooling journey. Her encouragement and real life attitude is something we all need! Heidi shares that her hope with this book is that by the end, you will feel more confident in "He who has begun a good work in you will see it through to completion." (Philippians 1:6) Those words are still resonating with me even after putting the book down. This book is one that will remain on my bookshelf in my "need a lift" section!